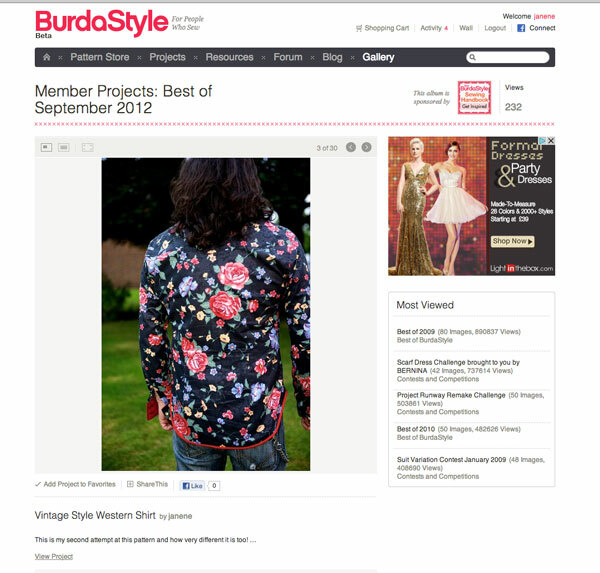 My Spencer jacket made Member Projects: Best of October 2012! Mr Ooobop’s shirt made Member Projects: Best of September 2012! I really didn’t expect this skirt to be a feature on the Burda Style home page this morning. What a lovely surprise! I have blogged how to make your own fitted pattern here. I sent some photos of my ladybug dress to Sew Magazine and won the Star Letter prize!